Our “FOSS Winter Bird Feeder Project” is well under way, for the third year! Volunteers have set up 6 “feeding stations” around the Skating Trail at Col. Sam Smith Park- each consisting of a seed feeder and a suet feeder. 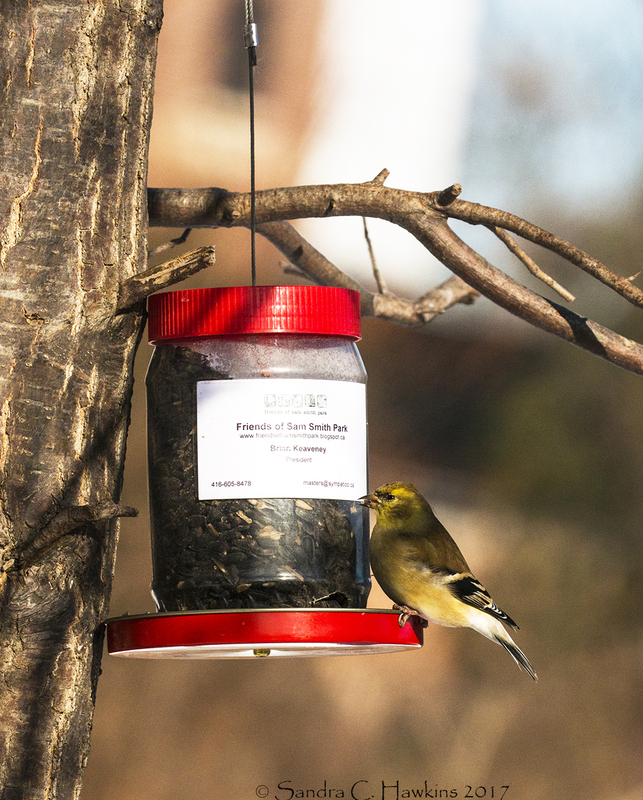 Different FOSS volunteers check and fill the feeders each day. We are getting an interesting variety of birds, a lot of squirrels, and a fair amount of attention and inquiries from skaters. People are also stopping to thank us for our efforts! The Urban Nature Store, on North Queen by the East Mall, is generously subsidizing our seed purchases again this year, which is greatly appreciated. 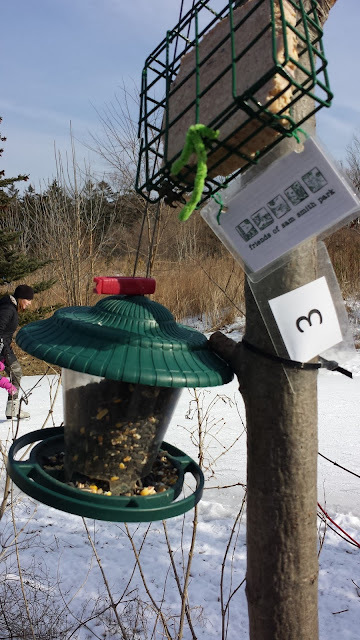 The next time you are by the Skating Trail, check out our feeders and see what is happening there. Thank you to all of our faithful volunteers! This photo of a goldfinch on one of our feeders was taken by Sandra Hawkins. How wonderful of the volunteers and the Urban Nature Store. will be returning to the Urban Nature Store for my seed mixes this week.